Trion Humidifiers and Air Cleaners — N&N Supply Company, Inc.
Trion HE1400 16x25 high efficiency electronic air cleaner. The HE1400 is a complete system, connect the ductwork and plug in. 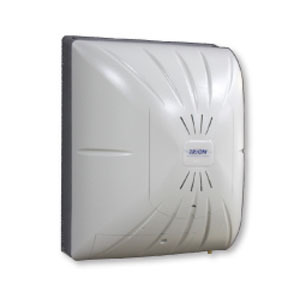 Trion HE2000 20x25 high efficiency electronic air cleaner. The HE2000 is a complete system, connect the ductwork and plug in. Trion CM200 is a compact, durable, evaporative humidifier that was designed for homes up to 2800 square feet, where there may be limited space available for mounting. The evaporated water is released into the home by the furnace or air handler. Trion CB100 features available with Trion’s newest fan powered evaporative humidifier. Models are available with traditional controls or the H2OSmart™ Technology which maximizes performance and saves water regardless of system conditions. The evaporative humidifier is installed into the supply duct and air is drawn across the moist evaporator pad (wetted through the home’s water supply). The evaporated water is efficiently released into the home by the furnace or air handler. The adjustable, precision-made humidistat allows the user to choose the optimum humidity level for maximum indoor comfort. Highest peak capacity delivers up to 20 gallons per day at 140ºF. The built-in fan motor helps deliver maximum humidity. Trion 707 atomizing humidifiers are installed onto the return duct where a superfine mist is generated, quickly absorbed into the air, and distributed into the home. The 707 can also operate as a free standing unit where a superfine mist is fed directly in to a room.